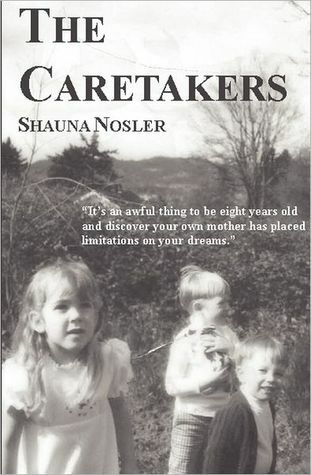 To help celebrate the release of her first book The Caretakers, I have author Shauna Nosler here to answer a few questions. think the Queen Consort she was named after must have been an amazing woman. I was asked this once before and my answer is still the same. By far, for me, the hardest part is realizing there are some paragraphs and even strings of pages that have to be deleted because they just don’t fit. It’s hard to delete your own writing but even if it’s good, if it doesn’t promote the story line then you have to get rid of it. Seeing the characters develop. Sometimes I start writing without a specific agenda for a scene. I might have a direction, but then once my mind starts flowing and the words come out it can be different than the outcome I originally expected. And that’s fun – to see what finally ends up on the paper. I’ve always toyed with writing. In the third grade I wrote a shot book – in French. Wish I still knew how to do that! I’ve had a number of people encourage me over the years … bottom lie is I became a writer because writing is just something I’m compelled to do. I think the emergence of eBooks is like any other technological advance – it’s a hard concept for a number of people to grasp (old habits die hard) but they are the wave of the future. From an environmental standpoint, cost standpoint and even the ease of “shelving” eBooks I can almost guarantee that the printed word will become a thing of the past by the time my children are older. Personally though, I still like the look and feel of a printed book … and I like waltzing through brick and mortar book stores. Absolutely. Before I read one I already have a general idea of what it might be like (and thus far I’ve been pretty fortunate to have them be fairly positive). But I don’t mind constructive criticism or opinions that differ from mine – I only mind if the review sounds spiteful. I have never written a review of any books I’ve read but I can definitely tell you which ones have struck me. There are certain ones I keep on a coffee table in plain sight because I like to be reminded of the stories even if I don’t have the time to reread them. I drink my morning coffee from a Tinkerbelle cup. It makes me happy. And she’s encouraging. I think everyone should find a way to bring some inspiration into their mornings. Thanks so much for allowing us a glimpse into your head and thoughts. Shauna Nosler was born in Seattle, Washington and grew up in and around Oregon’s Willamette Valley and just like one of the main characters in The Caretakers, she knows first hand what it’s like to spend carefree summers in and out of friends back doors, swimming holes and relatively minor mischief. 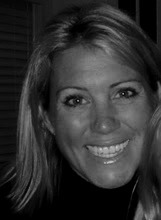 Shauna studied economics, although admittedly she only signed up for the major because there was a cute guy in her ECON201 class, at the University of Oregon where she toiled with short story writing on the woes and wonders of sorority life. Eventually, she moved cross country with her husband where she began freelancing for regionally based magazines and newspapers. They now live in Indianapolis with their three children and chocolate lab, Norm (yes, from Cheers- Cliff lives down the street). The Caretakers is her first published novel.